Price: $14990 - Already a collectible! The fourth generation of Corvettes, the C4 was the second longest running, covering the period between 1984 and 1996. With few minor redesigns, this series is now ready for the collectors market and fine examples with low miles and milestone status will surely start to appreciate in the near future. As seen in the pictures and according to the owner, car is "perfect in every way" and all stock with the exception of the Chrome wheels which come with new tires, (also new brake pads). and a few chrome and polished cosmetic add-ons in the engine compartment. Car lived all its life in sunny Texas where its proud owner showed it regularly and won quite a few awards. All original documentation to include window sticker have been preserved and are on hand to include factory video tape dealer brochure owners manual and packet etc. Maintenance was performed as required (and more) and records are available. Located in TEXAS, we can assist with delivery nationwide and all over the world. 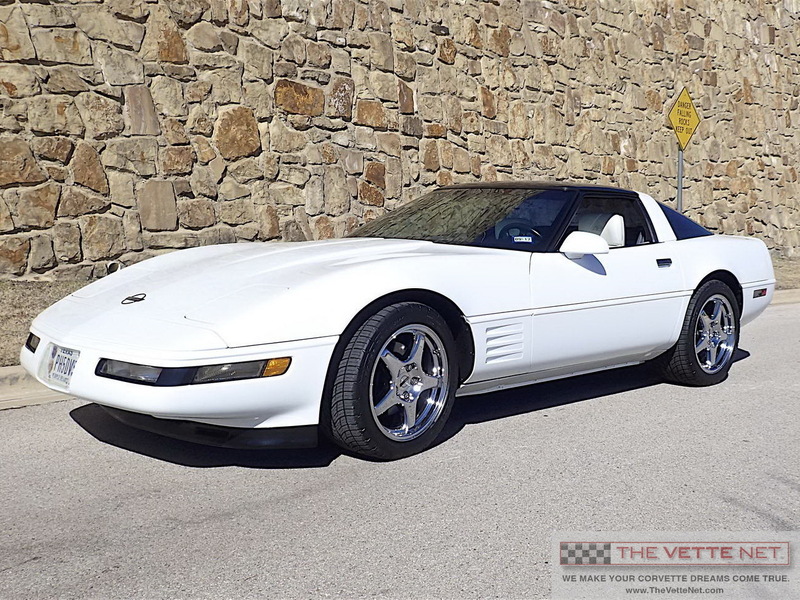 Corvette trades are considered, also financing is provided. Get approved by clicking on this link and the seller is more willing to accept your offer!